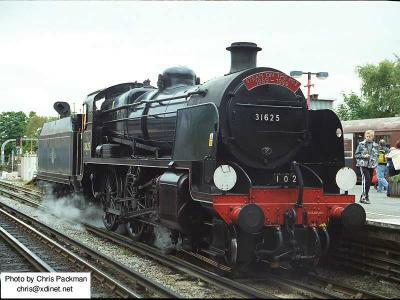 In 1989 to commemorate the 100 year anniversary of the opening of the Metropolitan Railway to Chesham, London Underground ran two weekends of steam specials from Chesham to Watford. 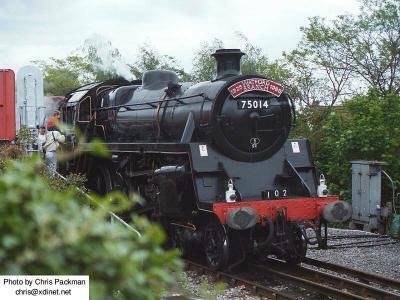 The trains used steam traction with "Met Nos. 1" (from Quainton) and the "Met" electric locomotive Sarah Siddons. 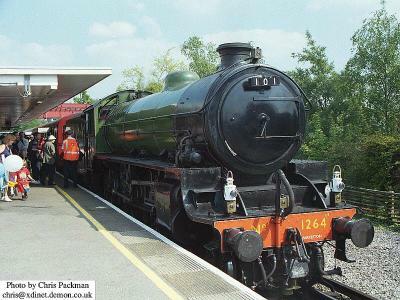 The event proved a great success and in the following year an event was staged running steam trains between Harrow on the Hill and Amersham. 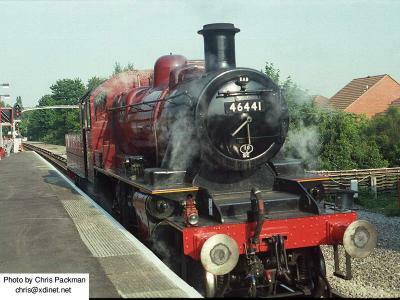 "Steam on the Met" then continued for the next few years, with services running from Amersham to Watford, using the little used north curve at Rickmansworth. Crowds flocked to the events each year, which were logistically complicated for London underground as they had to run the steam services in between the normal Metropolitan and Chiltern services. 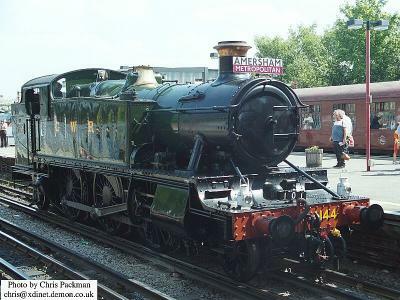 A special set of coaches was acquired and facilities provided at Neasden for the steam locomotives. 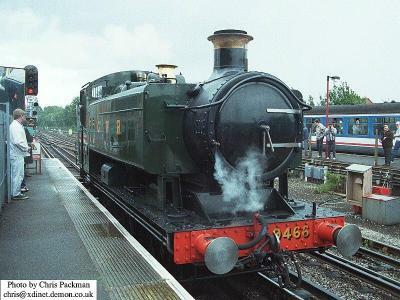 Amersham became very busy as it was used to change the steam locomotives on each train, which involved a number of train movements in and out of the sidings. Coaling and water facilities were provided at Amersham. The event was manned by volunteers. In the mid 1990s the event was cancelled owing I believe to changes in health and safety, the cost of maintaining the facilities and the new management structure of London Underground. 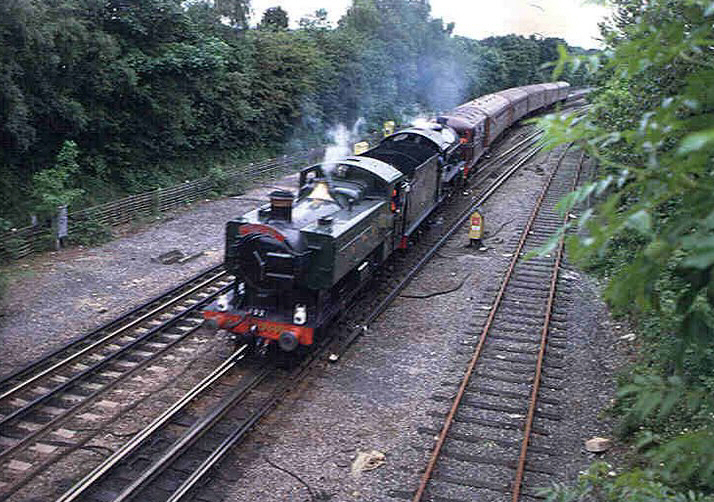 A feature of many of the events was the parallel running along the fast lines from Harrow on the Hill to Moor Park of two steam hauled trains on the early and late trains to and from Neasden. 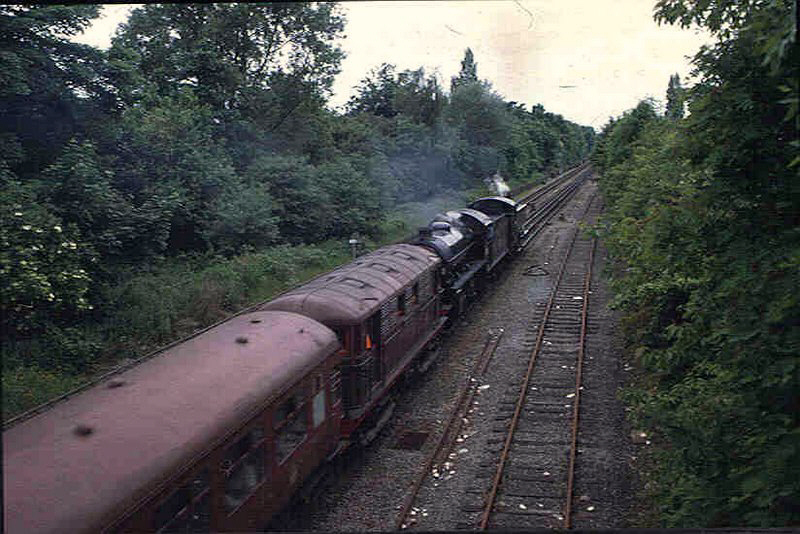 Below are a selection of pictures from Amersham of the trains used in "Steam on the Met"
Looking towards Chalfont from Hyrons Bridge, a tripple headed train leaves Amersham.